I don't know if this actually qualifies as a meme yet, but Andrew Neal suggested it and provided a template, so I'll play along. 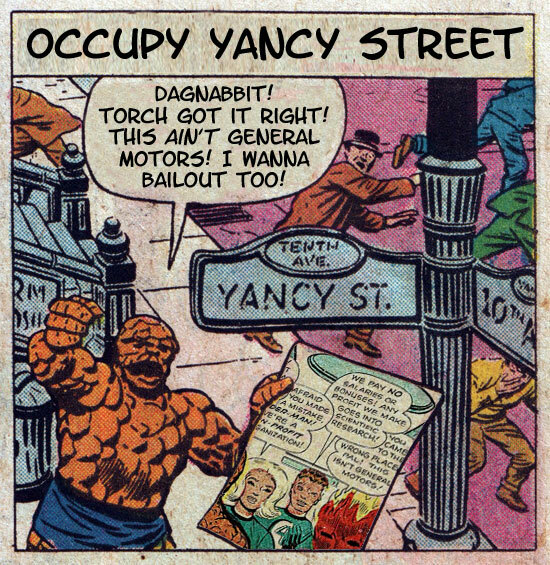 Not to dismiss what the Occupy Wall Street protesters are trying to do, but the idea of the Thing joining in instantly reminded me one of the Human Torch's lines from Amazing Spider-Man #1. Mr. Fantastic's line is somewhat poignant, too. 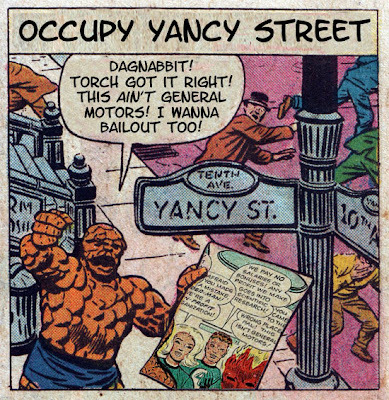 Well, I generally support the "Occupy" protests, and I still find this amusing. For what that's worth.